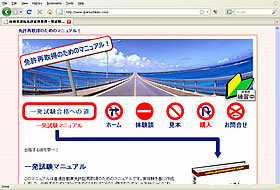 Website selling an online instruction manual for passing the Japanese driving licence test. Perfect! Thank you for your hard work. We needed an attractive website for selling our manual and our expectations were exceeded. We have already started receiving orders!